Shirts With Random Triangles: Ex-LSU quarterback Stephen Rivers is transferring to Vanderbilt. Ex-LSU quarterback Stephen Rivers is transferring to Vanderbilt. Stephen Rivers. Photo via The Decatur Daily. LSU's loss is Vanderbilt's gain. 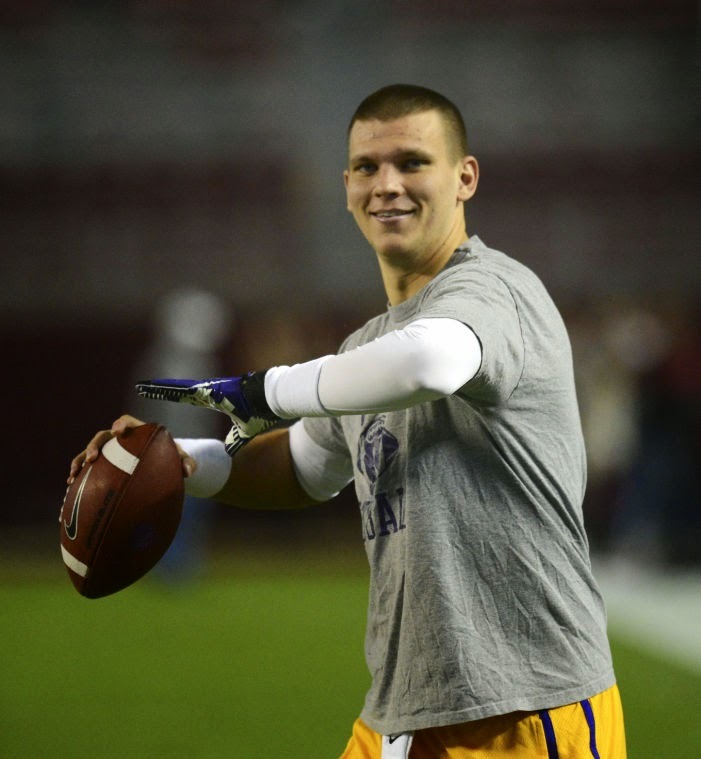 Former LSU backup quarterback Stephen Rivers has announced that he is transferring to Vanderbilt. Rivers, who graduated from LSU this spring, will be eligible to play with the Commodores in the 2014 season. Rivers announced his decision on Twitter Wednesday morning. Rivers is the younger brother of San Diego Chargers starting QB Philip Rivers. He participated in limited action in four games during the 2013 season.